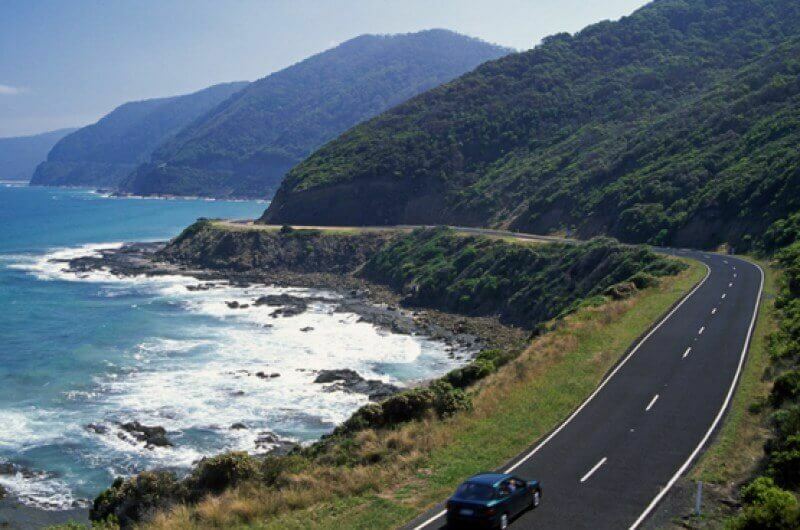 Travel on one of our unforgettable Great Ocean Road tours to experience one of the world’s most scenic coastal drives. 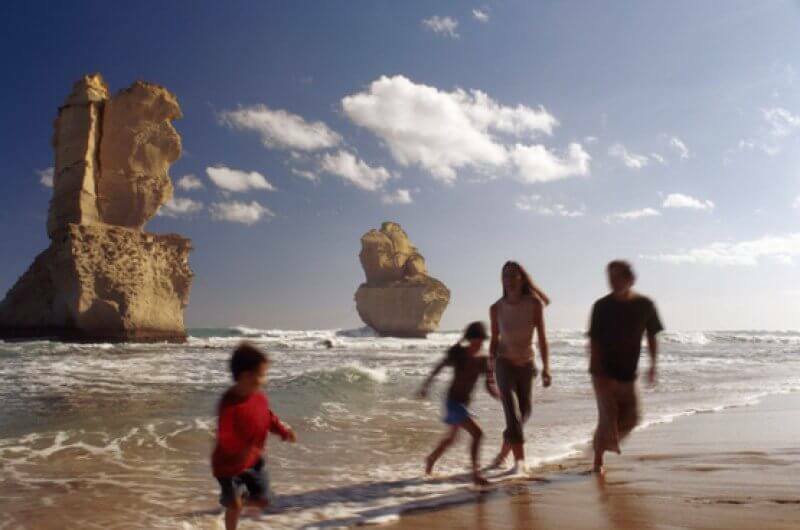 See the Twelve Apostles and Loch Ard Gorge, iconic surf breaks and charming coastal villages. Admire the stunning coastline and pristine hinterland, indulge in fresh seafood and local dining, explore the great outdoors and white sandy beaches or marvel at the ancient rainforests and abundant local wildlife. 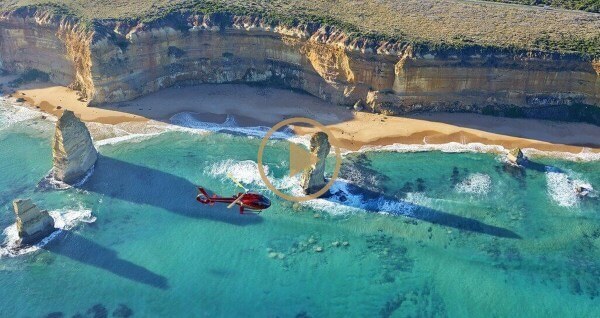 With so many places to visit and things to see, travelling the Great Ocean Road is an incredibly diverse experience. To get the very best out of your time here, you need guidance and the expertise that can only be provided by as skilled and knowledgeable a tour operator as MPT. 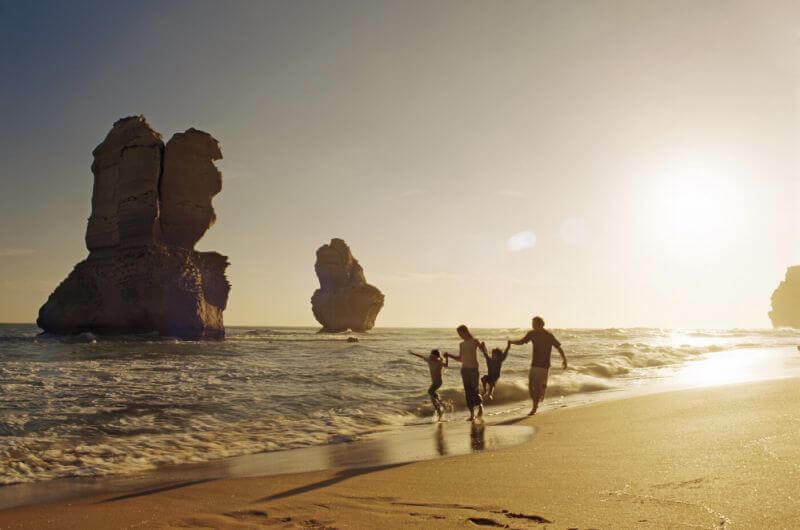 Our Great Ocean Road tours help you to strike the perfect balance, taking in the remarkable culture of the region as well as its beguiling natural landscapes in equal measure. 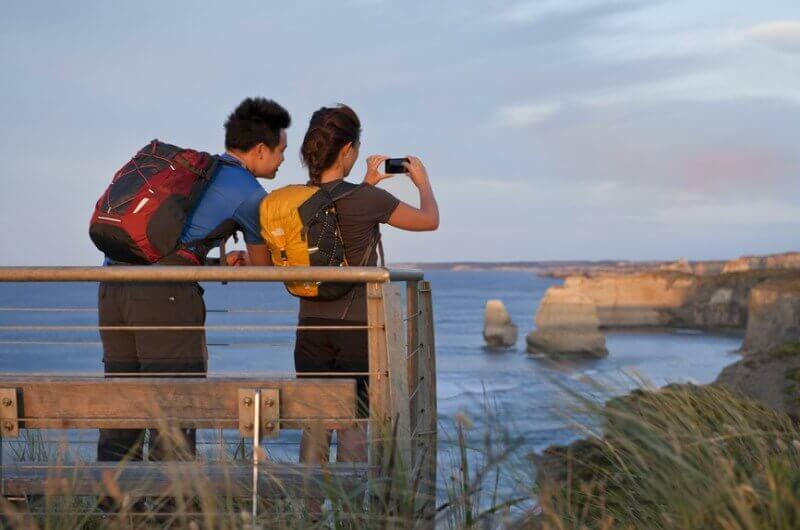 Take a look at the various tours we offer and start planning your Great Ocean Road adventure with us today. Please compare their characteristics and featured inclusions. Standard inclusions and experience enhancers can be found below the table. The Twelve Apostles represent arguably the most dramatic sight found along the Great Ocean Road, or anywhere in Victoria for that matter. 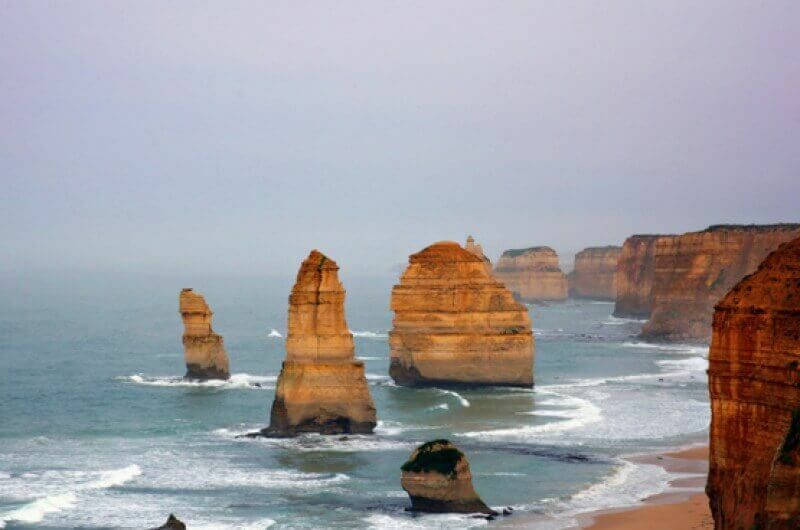 The collection of limestone pinnacles jut out from the beaches and breakers beneath, and it is little surprise that the area has become highly popular with tourists. Visitors trying to spot twelve stacks will have their work cut out. As of 2018, only eight of the apostles remain intact, the last to fall having been claimed by the waves thirteen years previously. Despite this, the rock formations are still an arresting sight and the area is one of the top places to visit on the Great Ocean Road. The Twelve Apostles are not the only examples of breathtaking geography and geology in the region. 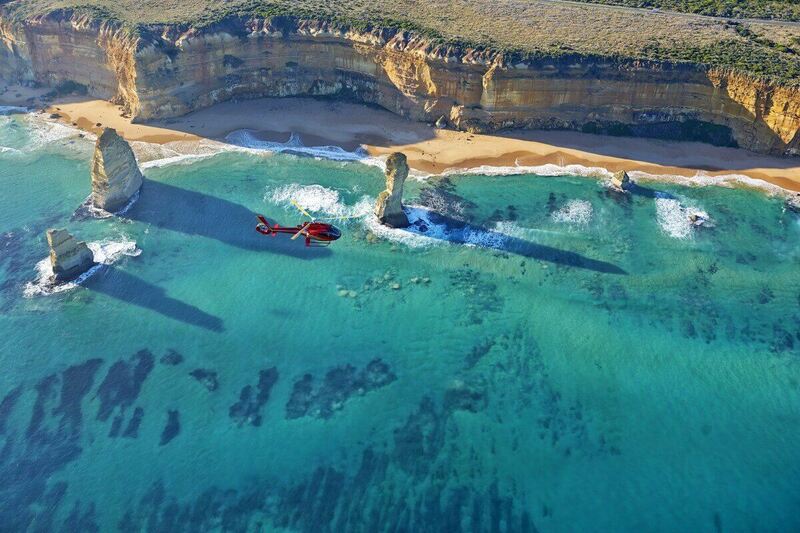 Loch Ard Gorge is certainly not to be missed on your Great Ocean Road trip, and is a truly remarkable sight with two peninsulas of rock stretching out like arms into the ocean. The gorge takes its name from the Loch Ard clipper ship, which was tragically wrecked in the 19th Century on its way to Melbourne from England. A small monument on the site provides visitors with additional information on this fascinating and heartbreaking historical event. The seaside town of Lorne is situated at the point where the Erskine River joins the ocean at Louitt Bay, providing a well-appointed spot for a stop off during your Great Ocean Road trip. Fishing from the town’s pier is a popular activity among visitors and locals alike, with barracuda and whiting being particularly abundant here. Closer to the shore, you will find plenty of lovely locations for bathing and swimming in the ocean waters. The local populace of Lorne is serious about its fitness, and the town plays host to numerous foot races, boat races, and competitive ocean swims during the summer. 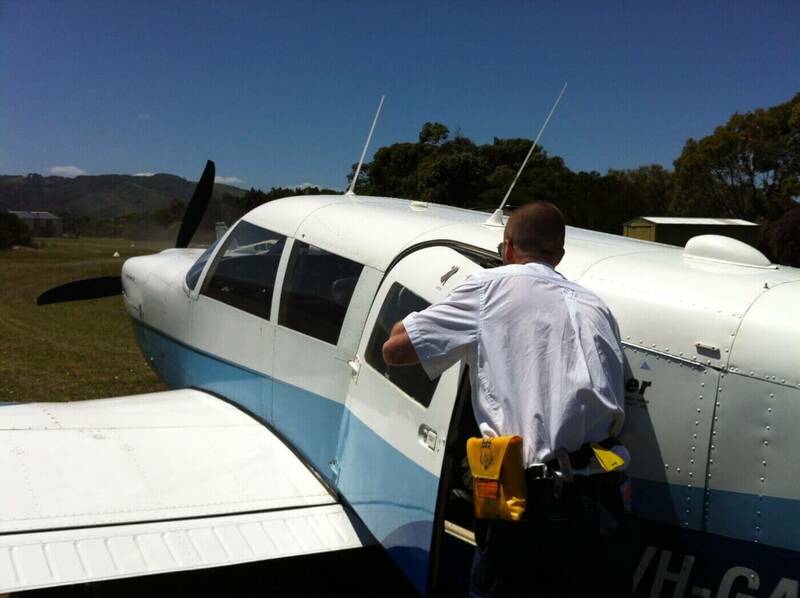 There is also superb access to the nearby national park, as well as hiking options along the Erskine River. Apollo Bay is something of a cultural and historic hub in this area of Victoria, with annual seafood festivals, music festivals and the Great Ocean Road Marathon contributing to a packed calendar of events, many of which are top things to see on the Great Ocean Road. Outside of festival season, Apollo Bay is still a fine town to visit and features hillside landscapes and ocean views. Nearby spots such as Marriner’s Falls provide a welcome break from downtown, and those great restaurants and opportunities for retail therapy will always be waiting for you when you get back. Of course, the stunning beach at Apollo Bay must be the main reason why it is so popular year-round. Don’t forget to visit the Seafood Coop for some of the freshest lobster, fish and seafood around. The town of Kennett River is a popular stop on the Great Ocean Road, and offers and some prime surfing spots. If sublime hiking and adrenaline boosting swells are on your list of priorities, Kennett River is a must see. The region around Kennett River and the Grey River Road is also home to one of Australia’s best-known animals, the unique koala. These unofficial symbols of Australia are startlingly common in the area, and spotting them should not prove too difficult if you are patient. Ask your MPT guide for tips! Stepping back into a primeval landscape is not so difficult when you are travelling the Great Ocean Road. The Great Otway National Park provides views which have remained unchanged for millions of years, with cascading white water rivers, wide tongued ferns, and trees almost as old as time itself. Located between Apollo Bay and the Shipwreck Coast, the national park is an incredible environment which provides a stunning showcase to the natural beauty of Victoria. More adventurous travellers may want to try their hands – and feet – at the Great Ocean Walk, stretching from Apollo Bay to Glenample Homestead, covering an impressive 91 kilometres on the way. If this does not sound like your cup of tea, the rainforested valleys and the heath highlands of the national park provide ample scope for more gentle exploration. The lighthouse at Split Point is one of the Great Ocean Road’s most instantly recognisable landmarks. Since the 19th Century, the structure and its light has guided ships up and down this dangerous coastline, and continues to spellbind visitors to this day. Now unmanned, the lighthouse is still operational, but also serves a secondary function as a prime photo opportunity for those experiencing a Great Ocean Road tour. Don’t miss your chance to snap a classic piece of Victorian history and architecture. Nearby you will find the charming Airey’s Inlet, as well as some incredible views up and down the coastline. 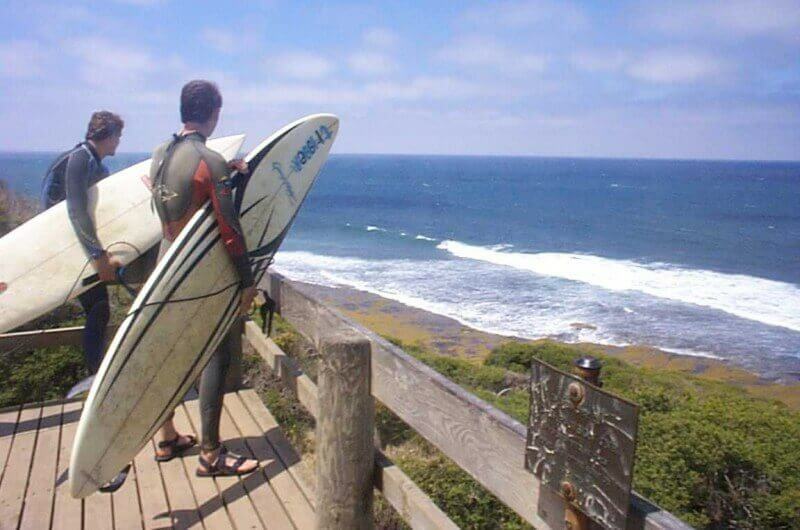 If you are familiar with the movie Point Break, then you will probably have heard of Bells Beach. The climactic scene of the 1991 blockbuster was set here, tapping into the locality’s already extensive reputation as a surf heaven. It is little surprise, then, that the area is great for surfers. However, this is not the only reason people come here. Expansive and charming beaches make Bells Beach an area of astounding natural beauty. The nature reserve here provides ample scope for exploring, as well as for nature spotting. Torquay sits at the eastern extreme of the Great Ocean Road, and is a popular spot among tourists seeking to either kick off or complete their trip in the right way. It is the natural surf just off the coast which makes Torquay such a famous location for thrill seekers and wave chasers. The conditions and the breaks here are among the best anywhere in the country. However, if riding the waves is not really your thing, the inland areas offer some of the best places to visit on the Great Ocean Road. The hiking trails around Torquay, for example, bring outdoor enthusiasts flocking to the town each year.